The penetrant testing procedure uses the capillary forces of fine cracks and pores on the surface of a workpiece to make them visible. There are two procedures available: the color penetrant testing and the fluorescent penetrant testing. A precleaning is executed mechanically or chemically. The component’s surface has to be free of cinder, rust, oil, fats and the like. Penetrants are available in red and/or fluorescent, either water-soluble or removable with the help of a solvent. 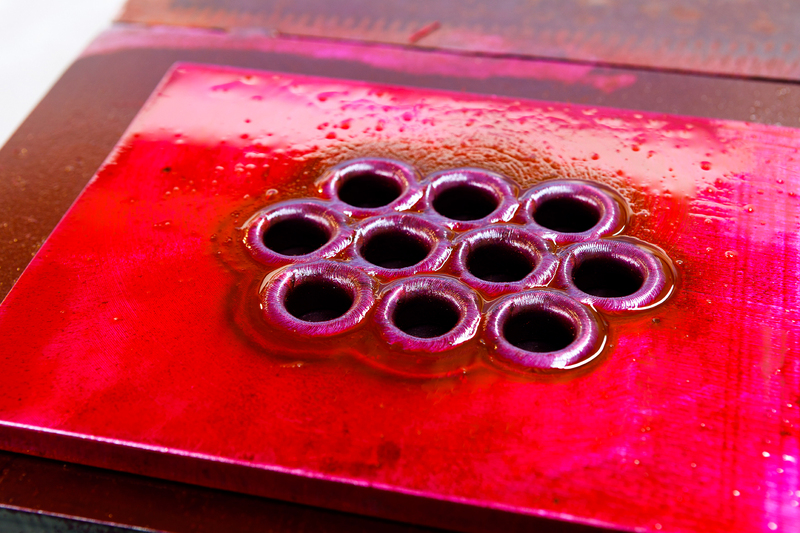 The penetrant is applied via spraying, spreading, dunking or by pouring it over the workpiece. The penetration takes between 5 and 60 minutes. Either water or a solvent is used to remove the penetrant. Afterwards, the workpiece is wiped with a clean towel and checked for any residues of the penetrant. A developing substance is applied to the surface and the reaction process is observed. This can take between 10 and 30 minutes. 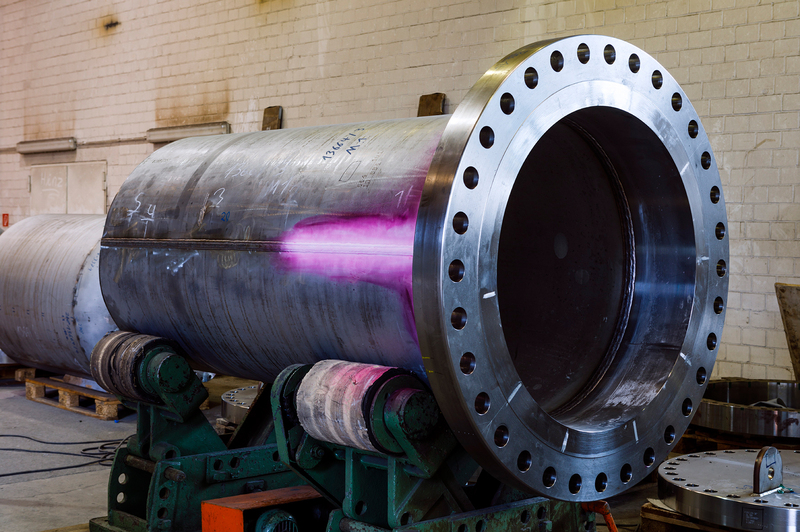 When the red penetrant is used for the procedure, the inspection can take place by daylight. In case of the fluorescent penetrant, the surface has to be irradiated with UV-A light. In our catalogue you can find an overview of our products.